Pamela Jean Barnes was born to Willard "Digger" Barnes and his wife Rebecca. When Pamela was just a baby her mother ran off. She and older brother, Cliff were raised by their Aunt Maggie, Digger's sister. Pamela was told that her mother was dead and that was why they were being raised by Maggie. They lived in Dallas on the "wrong side of the tracks." Growing up Digger made sure that Pamela and Cliff knew that the Ewings were evil especially Jock Ewing. In high school Pamela ran off and married Ed Haynes. The marriage was ended quickly when Digger found out and Pamela went on with her life. In 1977, Pamela agreed to attend a Ewing BQQ with Ray Krebbs, a guy she had been seeing and the foreman at the Southfork Ranch, She met Bobby Ewing their, but it was not until they ran into one another in New Orleans in 1978 that Pamela and Bobby decided to marry in a quick ceremony. Pamela came to Southfork knowing that a Barnes was not welcome. For the first few years JR, Jock and Suellen were mean to her and Lucy took to her quicker. Miss Ellie tried to except her the fastest. Pam had miscarrages and wanted a child so much. In 1980, Digger died and she learned the truth. Digger was not her father. Her father was Hutch McKinney a man that Digger had killed for having an affair with Pamela's mother Rebecca. Also Pamela learned that her mother was not dead that she had just run off. Also in 1980 Bobby took over Ewing Oil as JR healed from being shot so Pamela had some free time on her hands. Pamela went to find her mother now that she knew Digger was not her father. Finally after finding Rebecca she denined that she Pamela's mother. It took awhile for Rebecca to tell the true, that she was her mother. Than after Pam had a breakdown over not having a child, Bobby brought Kristin Shepard's son, Christopher into their lives. Pam was so happy to have him. Than the worst thing happened that Pamela could imagine. Her mother was dead in a plane crash. She blamed the Ewings and their war for Ewing Oil. Pam left Bobby and with JR Ewing's help Pam's own sister, Katherine broke up her marriage completely. So though Pamela found happiness with Mark Graison owner of Grasco Industries. Pamela, Mark, Cliff and his love, Afton spent a great deal of time together at the home Pamela moved into. (It was her mother's home in Dallas.) Soon Mark proposed, but Pam was not ready. She was not sure she was over Bobby. Than she learned Mark was dying. She agreed to marry him on to have him committ sucide in a plane crash. She could not except Mark's death and had to try and find him. Finally she found peace and was proposed to by Bobby. They were going to wed again. Only Katherine ran Bobby down and he died. That started the Dream Season and Bobby died and Mark returned. They finally married. Only to have her wake up and be getting ready to marry Bobby. They wed and were at peace for a short time. Just after learning that she could have a child of her own Pamela died when her car hit a tanker and exploded. Christopher continued to be raised by Bobby seeing his Uncle Cliff rarely. Victoria is famous for roles other than "Pamela". Victoria has starred in many television movies, she has a line of skincare products called Principal Secrets and has written books about beauty. She is still very busy, but has not been a part of the Dallas reunion movies or specials that have aired over the last few years. Victoria is one of my favorite actresses. I love in her role of Pamela, but I also enjoy watching her in teleivision movies. She is great at pulling you into the story and helping you get attached to her character. I hope she continues to act so that I can watch her in many new roles. 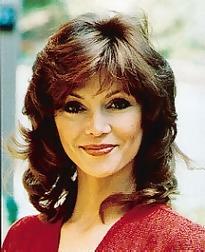 This page hold pictures of just Victoria Principal as Pamela Barnes Ewing and pictures of Victoria out of the role. This is a shot of Victoria playing Pamela in "Barbeque" the 5th Episode of Dallas. This is a very young, Victoria showing off your perfect figure. 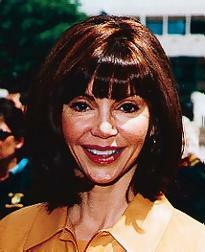 This is a recent photo of Victoria since her Dallas days. Victoria looks perfect in this picture. Her hair looks beautiful! This sceen capture is from season 9. NOTE: Pam is my favorite female on the show and Mark is my favorite male so if I give that couple more time I am sorry. I love them together!